After a recent act of heroism, Mitchell Loewen has been through a media blitz that has included interviews with the NFL Network and ESPN radio. 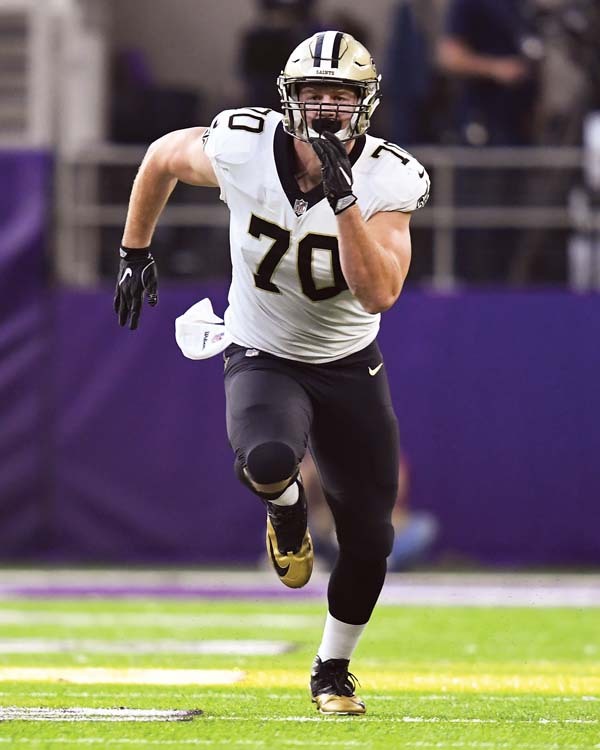 Just the third former Maui Interscholastic League player ever to play in the NFL — following Kaluka Maiava and John Lotulelei — the 25-year-old Lahainaluna High School alum started fall camp with the New Orleans Saints this week. Due to injuries that have required five surgeries — from a torn ACL to shoulder and foot ailments — he has not completed a season since 2014, his junior year at Arkansas. He played five different positions after starting his career as a walk-on in Fayetteville, but has settled onto the defensive line in New Orleans. He signed with the Saints in May 2016 as an undrafted free agent, but spent the entire 2016 season on the reserve list with a foot injury that lingered from his senior year as a Razorback. Last year, he suffered a season-ending high ankle sprain in his second regular-season game in a New Orleans uniform. 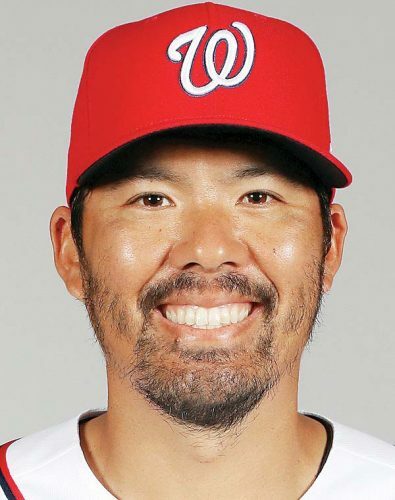 His heroics came on July 16 as he and wife Jena, his sweetheart from Lahainaluna, were having brunch with their 2-year-old son Luke. “We heard a big boom,” Loewen said. “We thought it was an earthquake and we looked outside — there’s stuff covering the whole block. We’re in downtown New Orleans, so there’s high-rise buildings all over the place. People were screaming and we look around and there’s this car flipped upside down. When Loewen arrived, he discovered a 19-year-old valet driver alive in a crushed Mercedes Benz SUV that had fallen four stories from a parking structure. The talk from the driver stopped after Loewen and company got the wreck back on its wheels. One of the other helpers crawled into the car through a window and pulled the windshield off the victim. The rescuer inside the car unlatched a door and Loewen, who stands 6-foot-6 and weighs 285 pounds, pried the door open. “The fake news part is I pried it off the hinges — that’s not true, that didn’t happen,” Loewen said. “I just pried the door open and busted the hinges. The door was bent out of shape, but it was still on there. The news has reached his home state. The victim has a broken back, but can walk and will not require surgery, Loewen was told. His media requests came pouring in as the story grew — he can remember giving “10 or 11” different interviews. His story has appeared on websites for Sports Illustrated, USA Today, Bleacher Report, ESPN and the NFL. 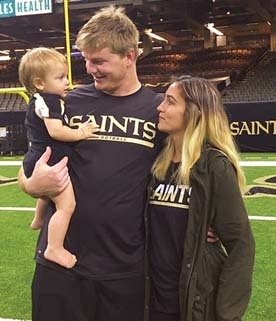 With the start of camp, Loewen has a new outlook to just being on the football field, especially after the faith the Saints have shown in him. “I don’t think I’ve ever felt better, to tell you the truth,” he said. “I feel better than ever — mentally, physically, knowing the game, knowing what I have to do. I’m excited, I’m ready to get things going. It’s about time for me to do something on the field.